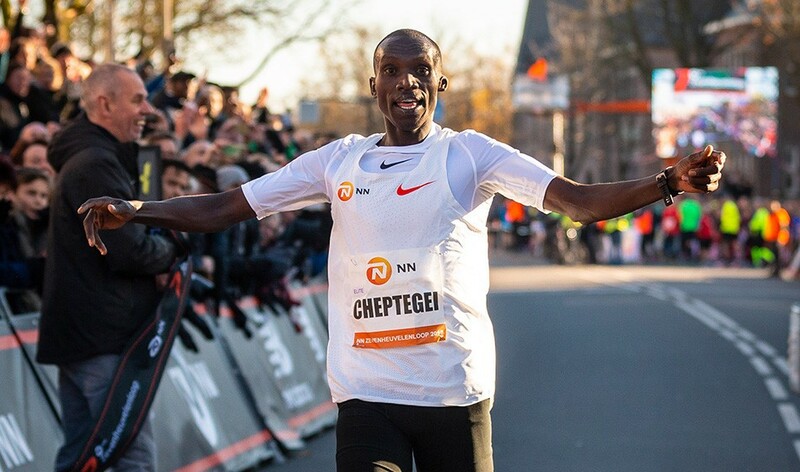 Uganda’s Joshua Cheptegei won the NN ZevenHeuvenloop in 41:05 to take eight seconds of the world best. The world 10,000m silver medallist took the lead earlier than planned as the pacemakers struggled to maintain the required pace. He passed the first five kilometres in 14:07 but increased his pace and covered the next five-kilometre section in 13:42 to reach 10 kilometres in 27:49. The double Commonwealth champion still had another gear to move into, though, and he upped his tempo in the final third of the race to get back on pace for a world best. Having covered the final five kilometres in 13:16 and the final three kilometres in 7:46, he crossed the finish line in 41:05. Eritrea’s Abrar Osman finished a distant second in 42:34, 22 seconds ahead of world 5000m champion Muktar Edris. Cheptegei’s compatriot and fellow Commonwealth 10,000m champion Stella Chesang won the women’s race in a national record of 47:19. Kenya’s Evaline Chirchir finished one place higher than she did last year, taking second place in 47:35, while Susan Krumins of the Netherlands was six seconds adrift in third.